Government has so far released $100 million as it intensifies efforts to assist victims of Cyclone Idai by way of restoring basic infrastructure and ensuring that the affected people access food and other basic necessities on time. A management team, comprising experts to oversee the reconstruction of Chimanimani and other affected areas, is being put in place. Yesterday, Local Government, Public Works and National Housing Minister July Moyo said Government was funding massive reconstruction work in the stricken areas in the east. “Government has been taking the lead in funding and last week we were given $50 million by Government through Treasury which has gone a long way to restore infrastructure,” said Minister Moyo. Minister Moyo also clarified the furore over alleged politicisation of food aid in Chimanimani and Chipinge following a video footage circulating of Zanu-PF trucks carrying food. He said in times of disaster, political and other opinion leaders become civic leaders who help the Government to identify people in need of assistance. He said people were deliberately sensationalising a matter which they knew was not meant to hijack food for the benefit of a particular party. Earlier, Information, Publicity and Broadcasting Services Minister Monica Mutsvangwa had briefed journalists on Cabinet deliberations focusing on both short and long-term solutions Government ought to implement in case of future disasters. “Cabinet received a comprehensive update report from the chairman of the Emergency Preparedness and Disaster Management Committee in the ongoing rescue and search efforts in the aftermath of the Cyclone Idai Disaster,” she said. Minister Mutsvangwa added: “To lodge a comprehensive appeal for disaster relief support and to invite local corporates and business associations to adopt schools and clinics for purposes of rehabilitating their damaged infrastructure. 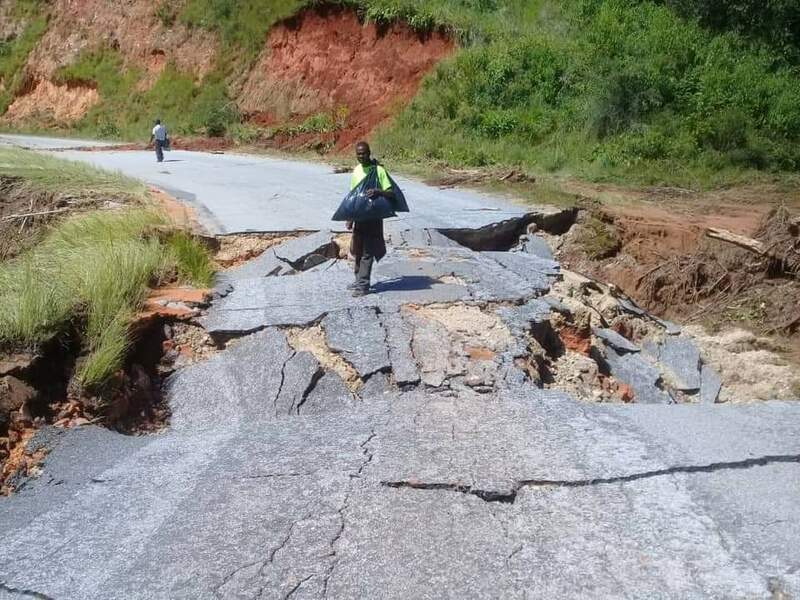 Meanwhile, Minister of State for Manicaland Affairs Dr Ellen Gwaradzimba yesterday said the damage that had been inflicted in Chimanimani would take time to correct and needed to be handled by experts who would work with Government. “In the majority of areas, repairs and maintenance is no longer possible and there is need for complete reconstruction. We are trying to put up a proper system because this is a big project that is going to be ongoing for some time. “We require engineers who specialise in the construction of bridges, roads, water, power as well as doctors who will be working on this project,” she said. She said Government needed a proper management system that would look at the immediate needs as well as the medium and long term issues. “We are in the process of compiling a list of experts and skills we require to put the system in order. Most of our attention has been directed at rescue operations for the victims of the cyclone but we still have a province to run, we do not want all other activities to stop. We will put a structured management system so that my role will be to monitor and coordinate and not be on the ground all time so that we continue to carry out other activities,” said Dr Gwaradzimba. She said an IT expert had already been seconded to the provincial CPU and he would be responsible for coming up with a ICT system that would track all projects that needed to be carried out and their status. “Project cyclone Idai will be running for a while because like I said, some roads need a complete reconstruction and there is need for relocation of those people, so the amount of infrastructure and other amenities will take a bit of time to put in place,” she said. She added that Government wanted to also come up with a sustainable method of assisting the victims of cyclone Idai to ensure that they become self-reliant again and not always rely on food handouts.